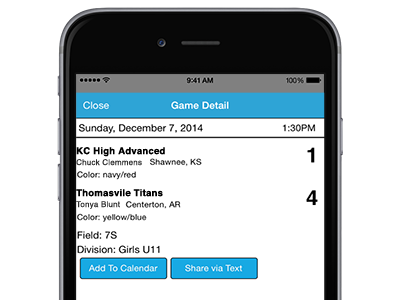 Install the HTGSports mobile application for access to the latest events, schedules, game results, and more. 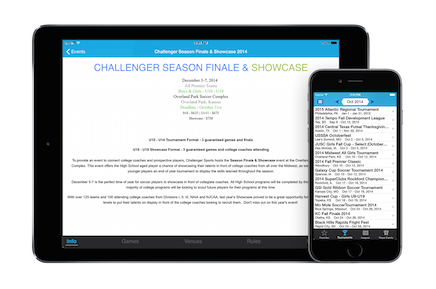 Inside the app you can access events, venue information, our blog, and more. Can't make it to a game? Sign up for push notifications and stay updated with real-time game score updates straight to your phone. Maximize your HTGSports event experience and download the free mobile application from the Apple App Store or the Google Play Store today! View tournament, league, and player events. You can view information on past, current and future events. 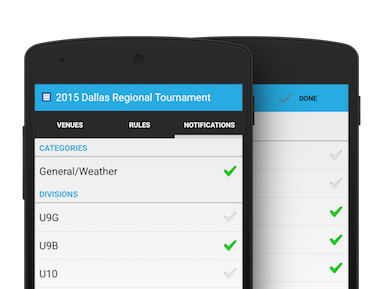 For team-based events you also have access to schedules, results, brackets, standings and rules. Sign up to be notified immediately about weather delays, game scores, reschedules or other information. 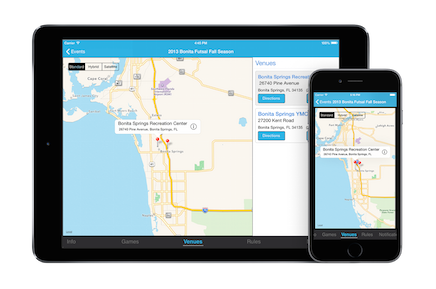 View information for each venue at any given event and get driving directions. You can also see all fields at a given venue and view games by field. 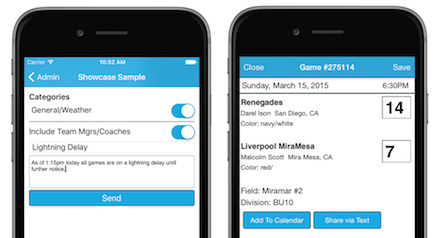 You can share a game result via text or add it to your calendar. You can also add all games for a team to your calendar. Easily view registration data and contact information. Need to call/email a manager? Simply click on their phone # or email address. At the fields and need to send out a broadcast push/email notification that games are delayed? With a few taps you can easily do so. At a remote venue and need to input game scores? In the past you probably called those scores in. 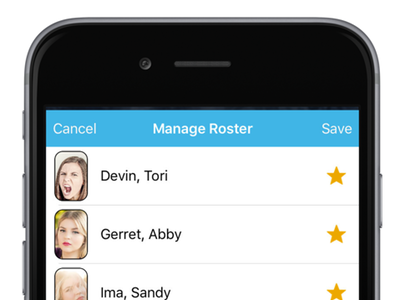 Now you can click on a game, enter the score and your parents get notified immediately. Managers can login and view their teams, players and view balances due. They can also easily assign players to their roster.